« Day 60 in Beijing: 6 for 60. My 6 Most Popular Posts. 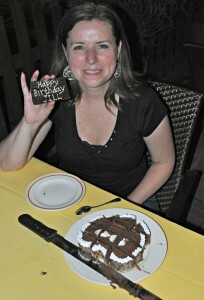 Day 61 in Beijing: Jill’s 40th Birthday. Actually, she turned 40 yesterday but since we are in Beijing, and you most likely aren’t, she will turn 40 again today. Sort of cool for her to get a day younger and turn 40 at the same time. Don’t hate the player, hate the date line. I took Jill to one of my favorite restaurants, Schindler’s. Mr. Schindler, Thorsten, John, me, Jill, Mrs. Schindler, and a friend. The owner, Steffen Schindler, was the East German Attache and when the Berlin wall fell. He physically handed over the keys to the ambassador of a newly united Germany. He then decided to start a restaurant and has 2 in Beijing. He also has two delis that specialize in German and European foods. The food, atmosphere and staff are amazing. They are also incredibly friendly and knowledgeable. Most speak excellent English and since Bruce, from Bruce and Beijing, and I do our interviews for his radio program, they recognize me now. It is almost like being a mini-celebrity. 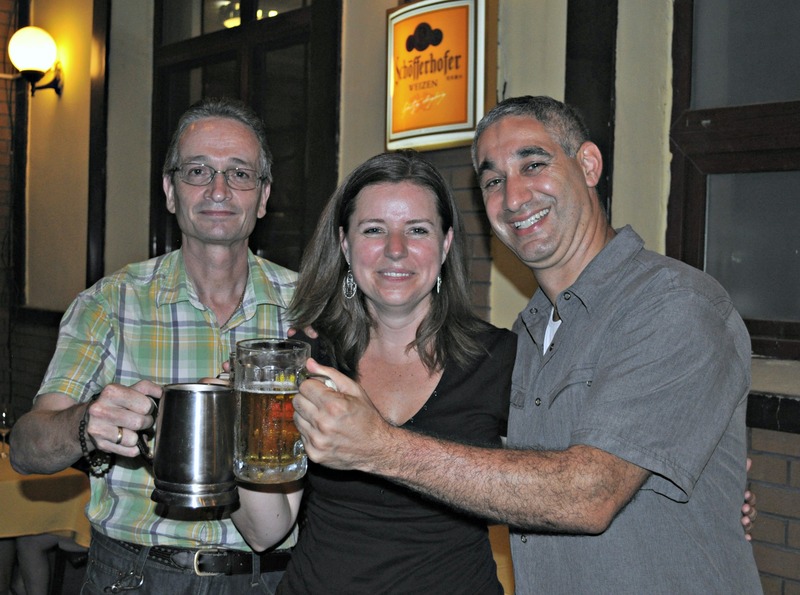 I have yet to visit Germany, but I’ve been told by many of the patrons, that it feels just like home. Thorsten, Jill and me. The party has just begun! I actually brought Jill here on her second day in Beijing and introduced her to everyone. 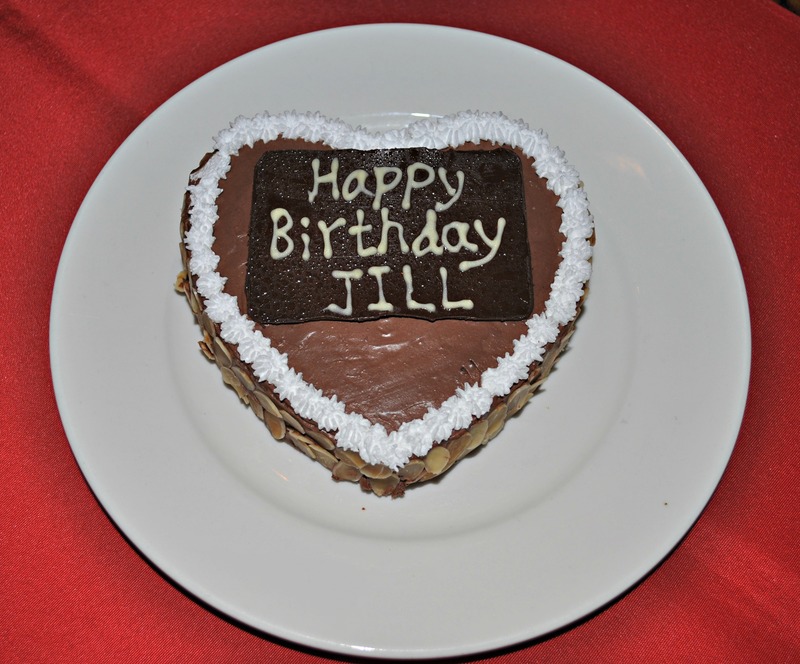 I told Thorsten Eckert, the General Manager, that it will be Jill’s birthday on Monday and he told me to bring her here for a special dinner. As I was leaving, he pulled me aside and introduced me to Mrs. Schindler. 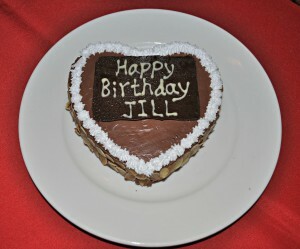 She offered to bake a special birthday cake just for Jill and we set up our plan to surprise her. 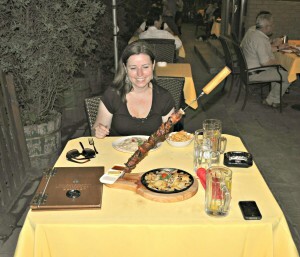 It was amazing and the food was fantastic! I can not thank Mr. and Mrs. Schindler enough for their amazing generosity and willingness to welcome Jill so quickly. I also have to thank Thorsten for his kind heart and thoughtfulness. A 40th Birthday cake for made by Mrs. Schindler. The schintzel with mushrooms for Jill and the Pirate’s Skewer for me. Now we are we are talking! Happy Birthday from Beijing, Jill! 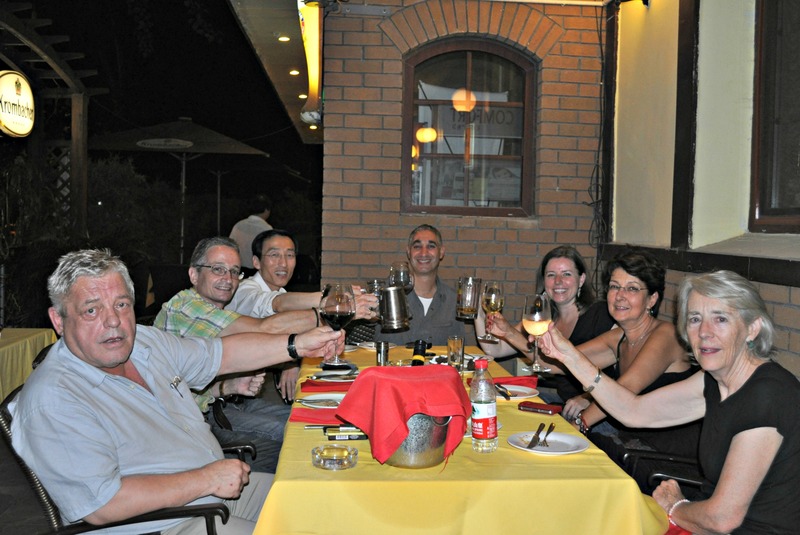 So glad you are here and enjoying yourself! Welcome to my, and now your, new family!